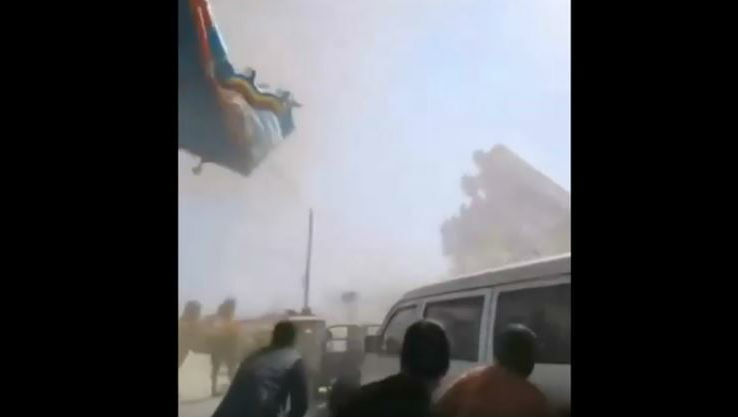 Henan [China], April 2: Two children lost their lives and 20 people were injured after a "dust devil" lifted an inflatable playhouse and other debris into the air here. At least 17 of the injured are children while two adults have sustained minor injuries. Furthermore, another child is seriously injured, according to CNN. Videos of the incidents have been widely shared on social media. Turkish Man Tries to Stop a Patio Umbrella From Flying in Strong Wind; It Flies With Him! (Watch Video). Local authorities have said that treatment and psychological counselling was provided to the victims and families. Zhang Xia, from Henan's meteorological observatory, had a 10-meter diameter and lasted for just three to four minutes.